A man who was Tasered three times and hit over the head as he resisted arrest was found dead at his home less than two weeks later, an inquest has heard. The body of James Lockett, 32, was found at his home in Colwyn Bay, Conwy, in December 2016. North Wales East and Central assistant coroner Joanne Lees heard there was no evidence to suggest either a natural or unnatural death. 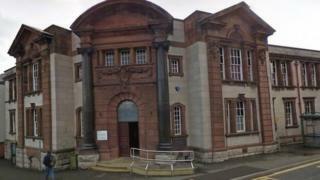 The inquest at Ruthin is expected to last for five days. Pathologist Dr Mark Atkinson told the coroner there was no evidence of physical trauma that explained the death. Det Sgt Stuart Mills of North Wales Police told the inquest a number of packets of schizophrenia medication had been found at Mr Lockett's home. But Dr Atkinson said the number of pills used would have been in line with his prescribed usage, although the circumstances were consistent with a drug overdose. He explained that even though Mr Lockett was believed to have last been seen alive just two days before his body was found, there had been substantial decomposition. The court heard a possible explanation was that Mr Lockett was found in a warm room full of fish tanks, with the temperature possibly speeding up decomposition.